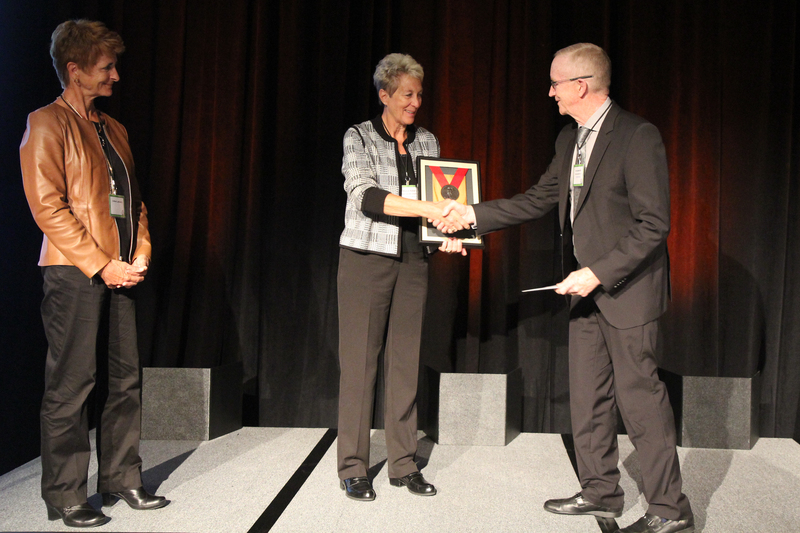 Mary Jo Nyblad, former vice president of commodity sales and transportation for Boise Cascade Company, received the 13th annual Bronson J. Lewis Award for leadership and outstanding contributions to the engineered wood industry. The recognition was announced at APA – The Engineered Wood Association’s annual meeting Oct. 27 – 30 in San Antonio, Texas. Nyblad’s career in the wood products industry spanned 35 years and included work in sales and marketing leadership for commodity lumber sales, particleboard sales and wood products transportation. An Idaho native, Nyblad graduated from Whitman College and holds a master’s degree in business administration from Idaho State University. She retired in April. The award’s namesake, Bronson J. Lewis, served APA for more than 24 years as secretary and executive vice president.